Following a tough selection trial, we are proud to welcome the crew members who will represent Qingdao, China’s ‘Sailing City’, in the Clipper 2017-18 Race. 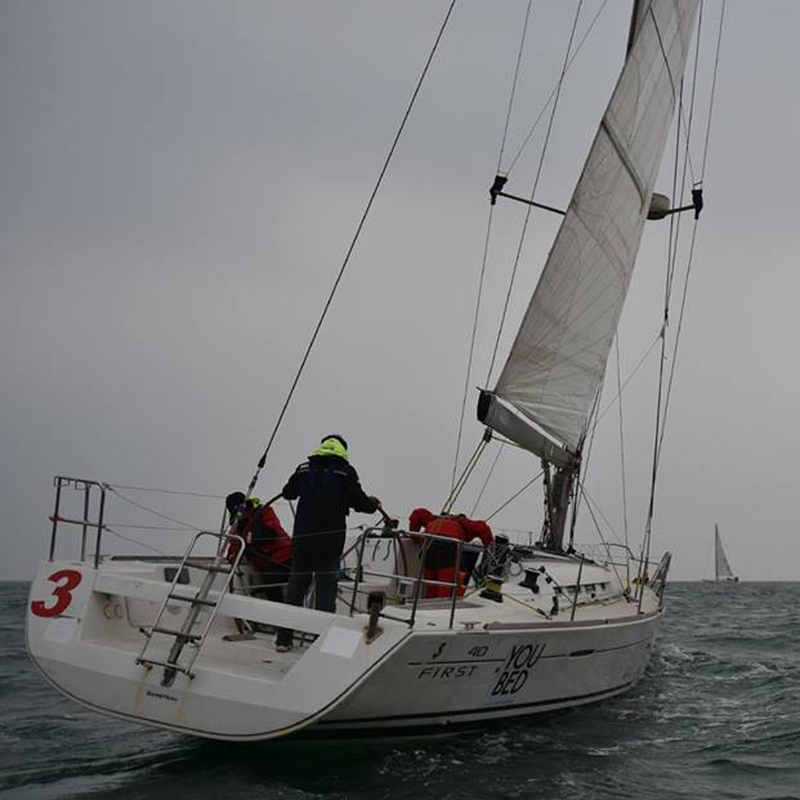 Qingdao has a rich history in the Clipper Race and is the event’s longest standing Team Sponsor. The 2017-18 race edition will mark the seventh time Qingdao, also a Host Port, has entered a team in the biennial race across the world’s oceans. In total, 57 people applied to be a part of the 40,000 nautical mile, eleven month global adventure, with 37 then invited attend the three day selection process. 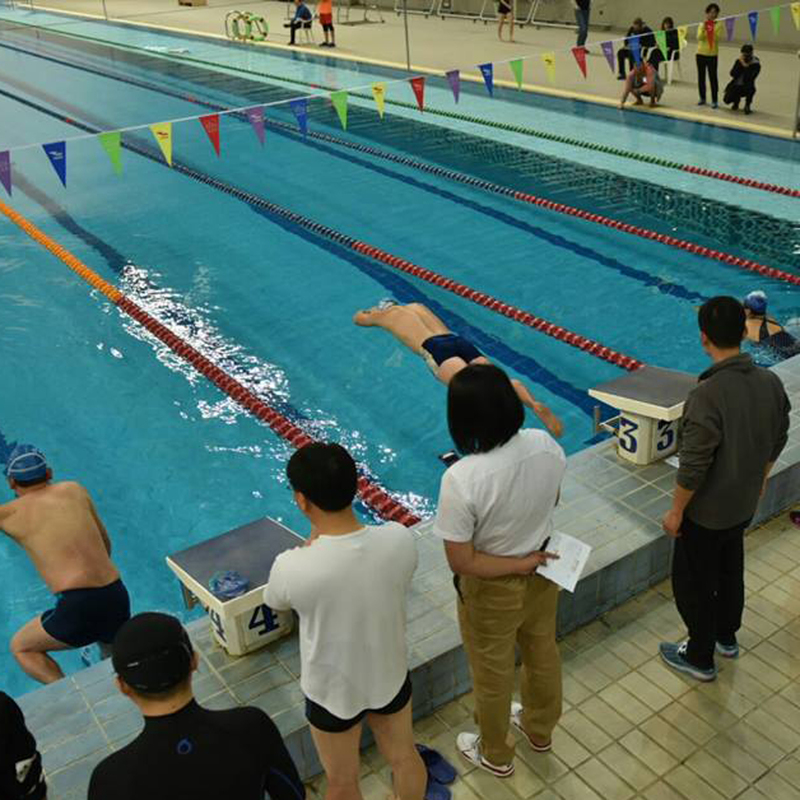 The applicants were put through their paces; taking on physical trials such as sailing, swimming and running, as well as tests to determine their English proficiency, both in writing and speaking. Clipper Race Alumni Vicky Song was on hand to inspire and guide the candidates through the process. As a Qingdao Ambassador, Vicky became the first Chinese woman to circumnavigate the globe when she completed the 2013-14 edition of the race. Such was the competitiveness and quality of the group, 20 people made it through to the crucial third and final day. “The sailing test on day three was a fitting end to a tough week,” says David Cusworth, Clipper Ventures Crew Recruitment and Development Director. Wang Bowen, Ma Hong, Tu Shan, Zhao Hongmei, Sun Yupeng, Yang Yalin, Xu Ying, Xu Huan, Liu Xintao, Luo Xiaoyu, Li Yaqi, Tian Meihong, Xu Yuxing, Zheng Yi, Liu Jingqiu (reserve), and E Xianghong (Reserve). Looking at the list of names, David says he couldn’t be happier with those chosen. Out of the 14, there are six women and eight men, with the ages ranging from 20 to 48. The future ambassadors come from all walks of life, with the group including students, teachers, a retired Navy Officer and a cruise ship photographer. 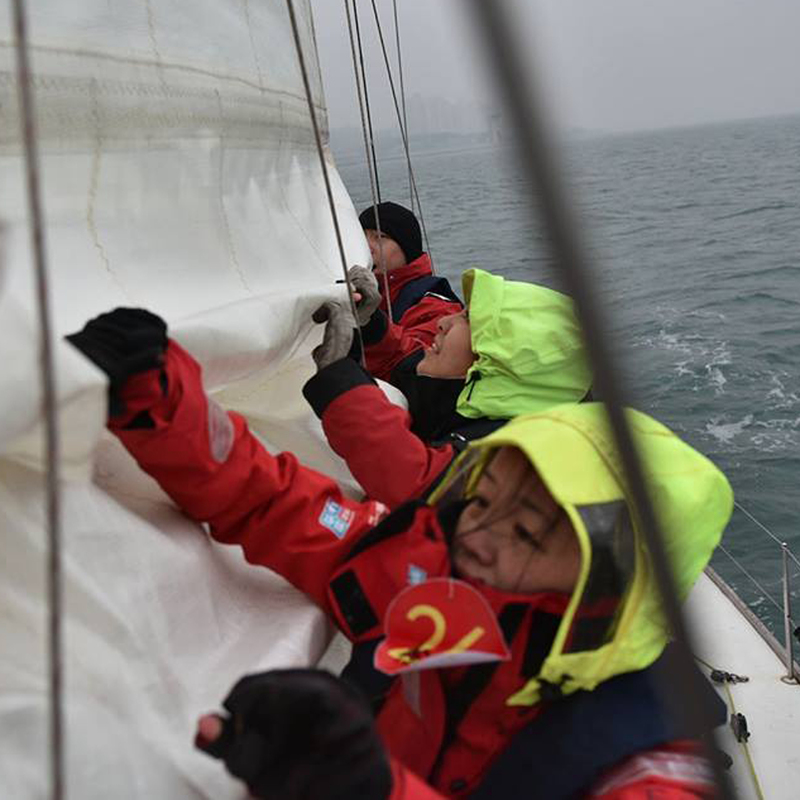 College student Zheng Yi is the youngest ambassador selected but despite his youth, he is an experienced sailor, having competed in both the Qingdao Sailing Team and Shandong Sailing Team. “My passion for sailing started because of Clipper Race, which I consider as my inspiration, and over the last ten years, sailing has brought me great joy and memories,” says Zheng Yi. The crew members will now be split into two groups and travel to the UK for training in May and July. 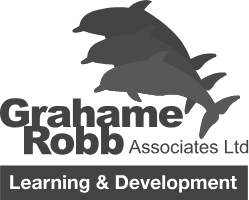 Both groups will undergo an intensive four week training program at the Clipper Race Headquarters in Gosport. The Clipper Race training is focused on safety, just as much as ocean racing. Over the four weeks, the amateur sailors will be physically and mentally challenged to develop the seamanship, competence and confidence needed to take on one of the world’s toughest endurance challenges. All who successfully finish training will then be offered to take part in one of the eight legs which make up the circumnavigation. 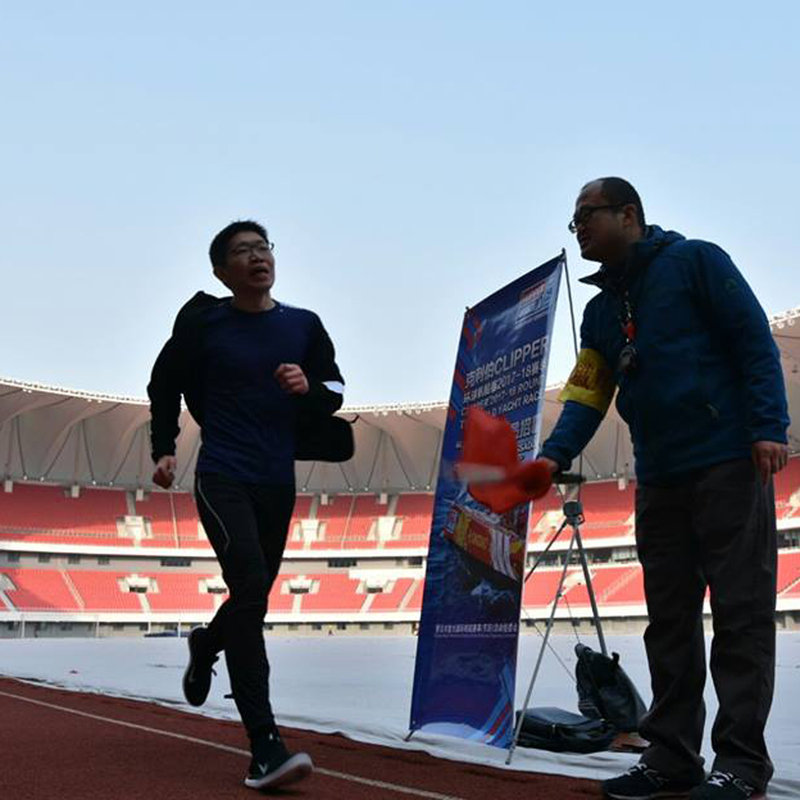 Qingdao has sponsored an entry in the Clipper Race since 2005 to build on the legacy of hosting the sailing during the 2008 Beijing Olympic Games. Known as China’s ‘Sailing City’, the Clipper Race entry is also the perfect vehicle to promote tourism and trade from around the world. The Clipper 2017-18 Race will begin in the UK this summer, with the fleet expected to arrive to a warm and excited welcome in Qingdao in March 2018. There are still limited opportunities to join the Qingdao Ambassadors and take part in the upcoming Clipper 2017-18 Race. If you would like to take on Mother Nature and have the adventure of a lifetime, click here to apply.